COSC 4325 Computer Game Development II is the second course in a two-course sequence that students typically take in the fall (COSC 4324) and spring (COSC 4325) semesters of their senior year. 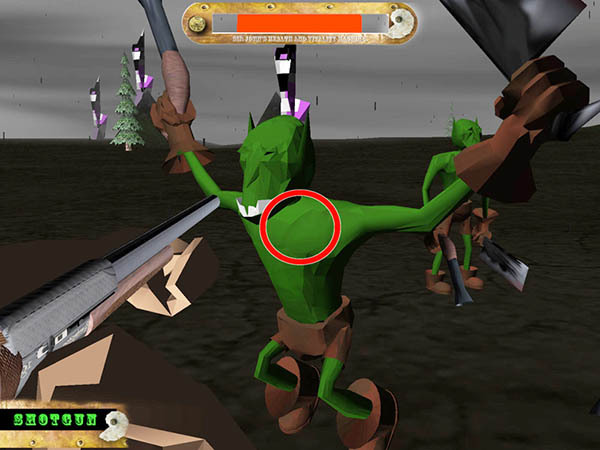 It is a required course for students majoring in Computer Game Development. COSC 4325 is an advanced course in graphics and game programming using C++ and Microsoft Windows. It is a continuation of COSC 4324. Students can work in the game laboratory on campus or use their own personal computers for this course. Through lectures and assignments students learn advanced coding skills including methods for rendering 3D models in more interesting ways including multiple textures, animating textures and level-of-detail methods. An introduction to particle systems enables students to create games with special effects such as fire, smoke and snow. The course introduces computer networking and teaches students the basic interfaces used in networked games. An important element of the course is the development of games with indoor environments which come with a different set of challenges including collision detection. Outdoor environments are covered in COSC 4324 Computer Game Development I. In addition to providing students the skills needed to create 3D games, the knowledge gained from this course is readily adaptable to other industries requiring 3D graphics software development. For example, using the skills learned in this course and COSC 4324, a student can work effectively as a graphics developer in the simulation industry. The successful computing professional in the game industry will likely work on many types of applications in addition to games during their career. The two-course sequence (COSC 4324 and COSC 4325) is designed to give students the skills and opportunity to create a full featured 3D game to add to their portfolio of work - the concluding semester project in COSC 4325 is a student designed and created game. A portfolio of work is very important when seeking a job in the game industry since it demonstrates a student’s knowledge and skill. Create graphics software that demonstrates advanced rendering techniques including multi-texturing, fog, particle systems, texture animation and mipmapping. Create 3D models for use in 3D games. Create software that demonstrates a basic understanding of computer networking protocols suitable for game development. Create and modify software that demonstrates indoor rendering. (Semester Project) Design and create a 3D computer game.